We do not get many calls on this subject, but I think it may be because users are not aware of this ability within a vault application. Many clients need to get back to a previous variation of a design, either due to overlooking a particular item in the design, or a change in the direction of the design. With Vault and Inventor, clients can get a previous version, however the command is not widely visible from a vault menu or tool bar. Without knowledge of this function, vault users can waste time attempting to get back to a version reflecting the state of the design they actually need. 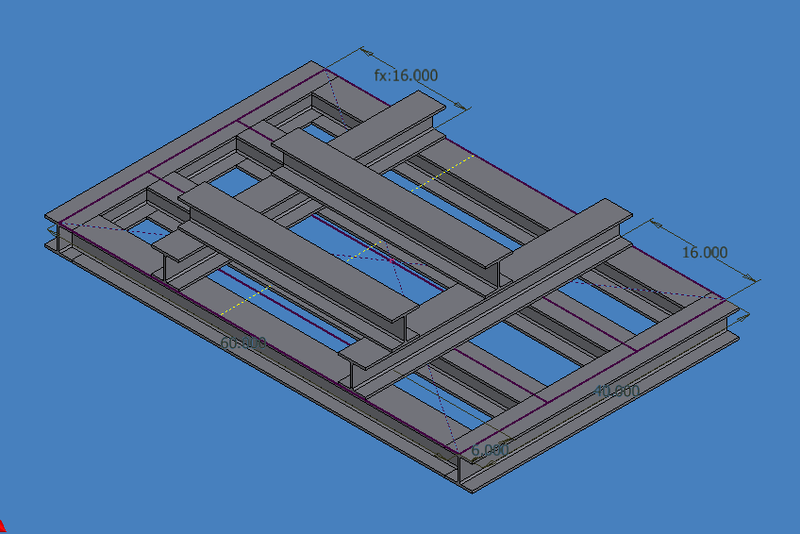 Below is a Figure of the design in its current configuration. 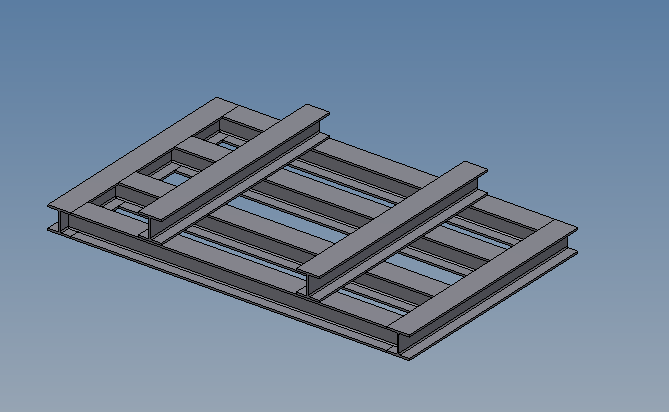 The following Drawing also reflects the above assembly. 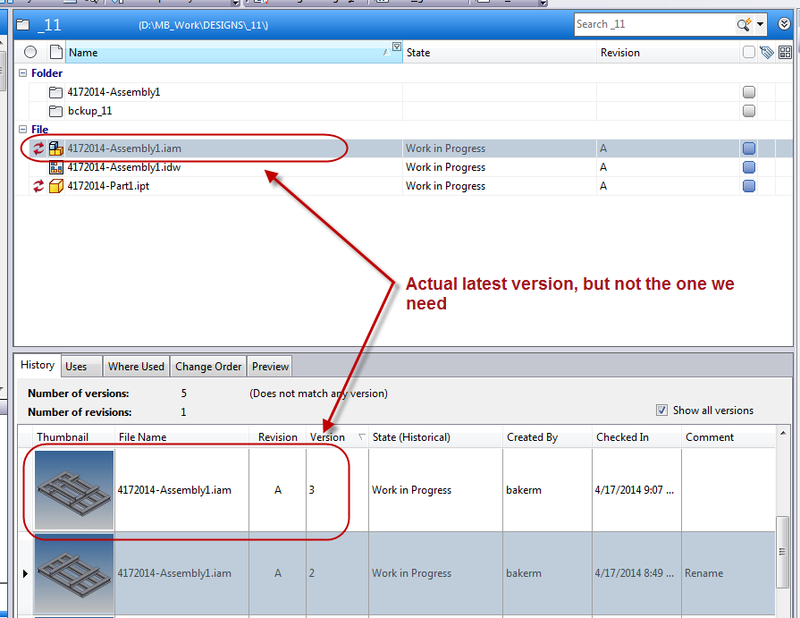 The problem is: I need to get the previous version of the file before the top most beams were added to the design; and how does a user accomplish this task, with “Get Previous Version”. Accessing that tool is done this way. 1. From the preview pane highlight the version needed. Note the number of files to be downloaded to my workspace (12). 6. 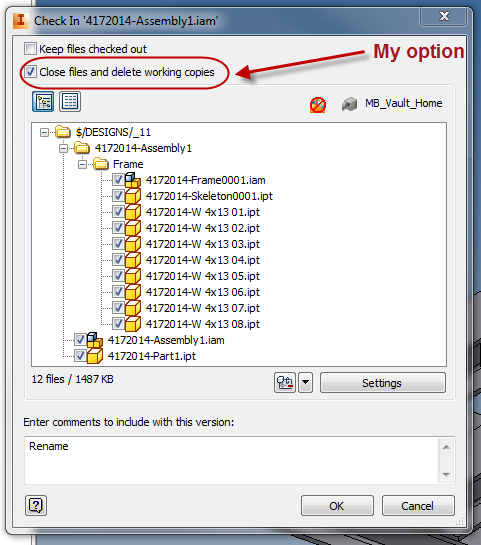 Next is to inform Vault this version needs to be checked out, but not over-write the version you just downloaded. 7. Select the latest version from the main pane in Vault. 8. 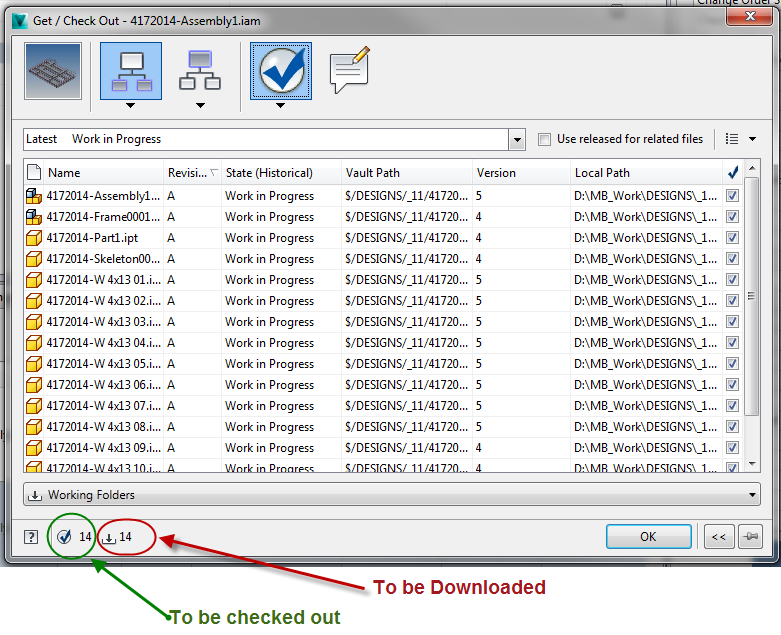 Right click and select “Get/Checkout” and expand the dialog box. 9. Pick checkout ball with blue check, and note the checkout download indicators. 13. 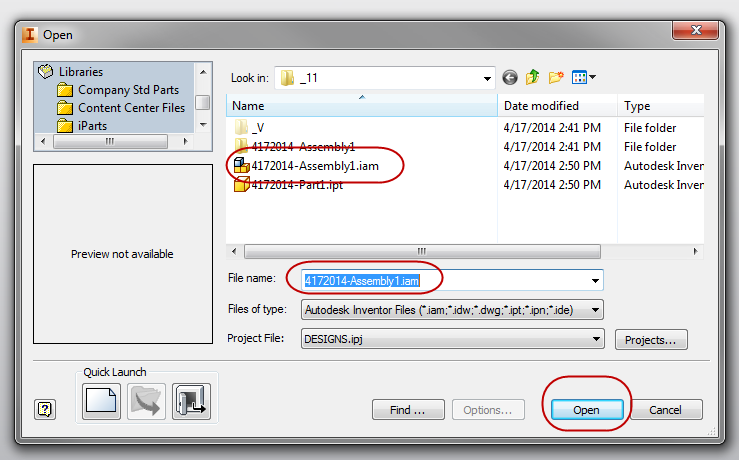 Open file from within the Inventor application NOT from Vault. 14. Change Model browser from “Model” to “Vault”, you will see the following. 15. This is the normal condition, Vault is warning you that the file(s) are checked out to you, and they need to be refreshed from the Vault. This is because Vault thinks you have the wrong version, but you know better…! 16. 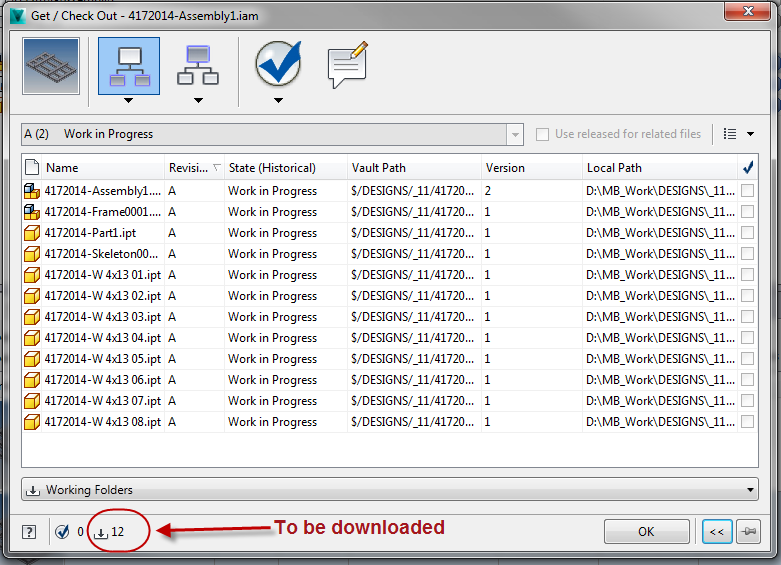 From the Vault browser within Inventor, highlight the assembly file and check in. 17. The Check in dialog box will be presented to you, select your favorite option and continue. 18. Your results should look like your previous version selected back in Step (1), Fig. 14 & 15. Join us at our annual Product Launch Event and dive into the new features and functionalities of the 2015 Autodesk software. Learn new tips & tricks from our industry experts, see how to utilize multiple products in the Autodesk Suites for ultimate project workflow, and attend our Special Guest Speaker, Lynn Allen’s, AutoCAD Tips and Tricks presentation. Lynn Allen, Cadalyst columnist and Autodesk Technical Evangelist, speaks to more than 30,000 users worldwide each year. For the past 22 years she has written a column for Cadalyst magazine called "Circles and Lines" and is the voice behind the popular Cadalyst videos -"Tips and Tricks with Lynn Allen". Lynn started using Autodesk® software over 25 years ago, and taught at the corporate and collegiate level for 13 years before joining Autodesk. A sought-after public speaker with a unique comedic style, Lynn is always one of the highest rated speakers and host of Autodesk University®. The author of three AutoCAD books, her latest is entitled AutoCAD Professional Tips and Techniques. From now through April 25, 2014, product upgrades to the following current releases are eligible for a discount when purchased with one year of Subscription. *Eligible perpetual Autodesk product upgrades include previous version upgrades listed in the Q1 GFP Upgrade Autodesk Eligibility Matrix (1-6x previous releases) ("Eligible Products"). All upgrades to and/or from any release of Autodesk® AutoCAD LT®, Autodesk® Inventor LT™, Autodesk® Revit LT™, Autodesk® AutoCAD® Inventor LT™ Suite and Autodesk® AutoCAD® Revit LT™ Suite products are excluded from this offer. 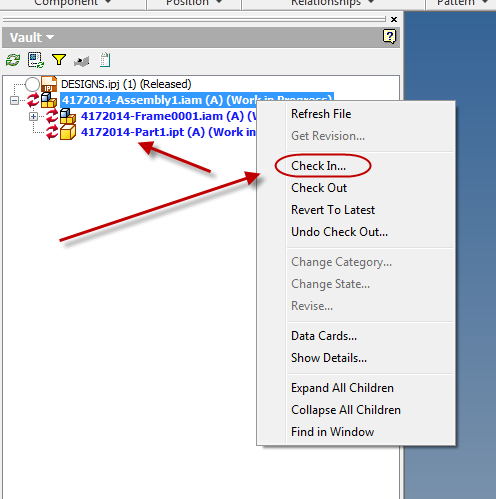 Subscription benefits are subject to Autodesk® Subscription terms and conditions. For more information about the Autodesk Upgrade Policy Change and promotion, please review the FAQ, visit our promotions page or call the office at (281) 445-6161. From March 28th, 2014 until April 25th, 2014, customers can receive up to a 30% discount off the Autodesk SRP on the purchase of a qualifying upgrade license of Autodesk AutoCAD LT 2015, Autodesk AutoCAD Revit LT Suite 2015, and Autodesk AutoCAD Inventor LT Suite 2015. This offer is only available on the electronically licensed download upgrade licenses when Autodesk Maintenance Subscription is attached. Join us at an Autodesk Open Doors Certification Event. For only $35, you can become an Autodesk Certified Professional! 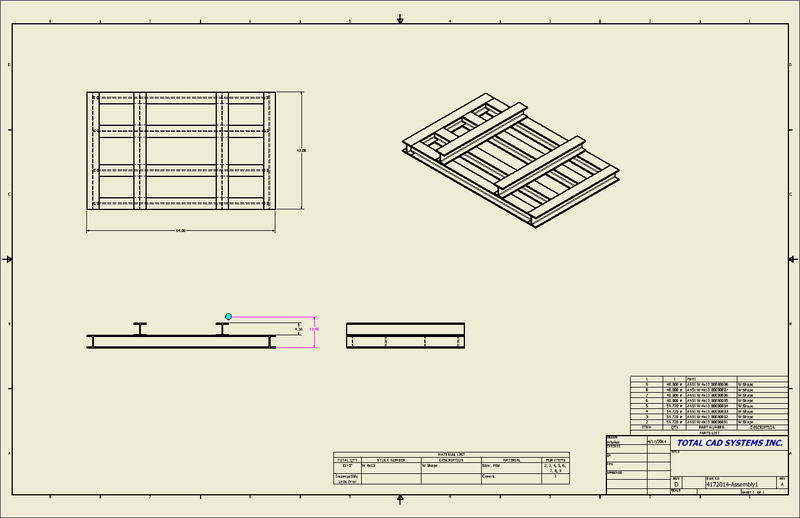 Enter in the Site ID: AM0045 to select Total CAD Systems as your Certification Center. 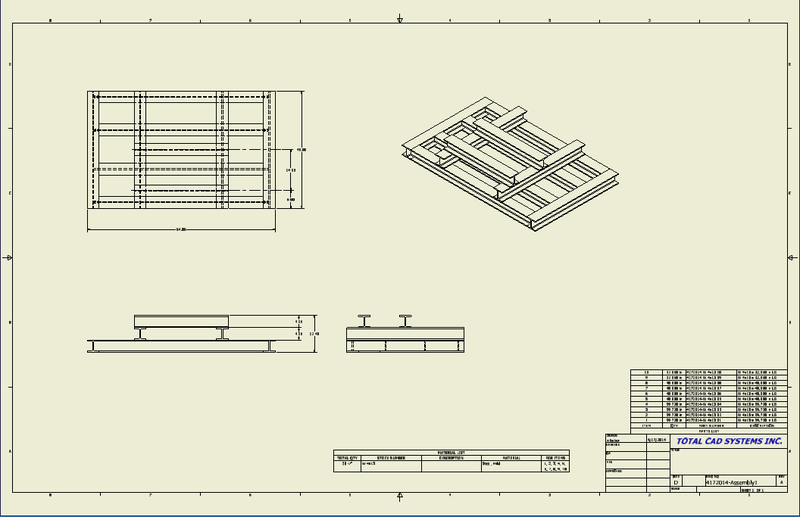 You can find more information on these exams including exam road maps by visiting www.autodesk.com/certification. *Registration for these dates will not be live until previous Open Door date has passed. Attendees will be entered into a draw to win a Microsoft Surface 2 10.6" 32GB Windows 8.1 RT Tablet. Your name will be entered each time you purchase an exam so the more exams you purchase, the better chance you have of winning. InfraWorks Styles based on Object Data.